rose & pine: The ONLY Denim Guide You'll Need This Fall! The ONLY Denim Guide You'll Need This Fall! Jeans are my favorite clothing item for one reason: they are so versatile. They're always in style, they can be dressed up or down, and can be paired with virtually anything. Although originally designed as work pants, they quickly became a style staple in the mid 1900's and now have a place in everyone's closet. Buying new jeans each year can feel overwhelming, I know I get filled with anxiety mixed with excitement each time I look at a store's 'jean wall'. Autumn is the start of denim season, so take a look at this nifty guide I created to help relieve some of that stress for you. 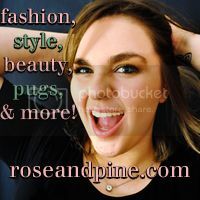 It includes information on five of the most popular cuts and trends (skinny, wide legged, colored, boyfriend, & distressed), with a mini shopping guide and outfit examples for each! I hope you get some use out of this handy guide, enjoy! Skinny jeans are the classic go-to. I personally don't even buy other jean cuts anymore, and when I do they're not for everyday wear. My favorite thing to wear in the fall are skinny jeans tucking into one of my many pairs of boots. It makes me feel so put together, even if I'm in a big sweater and my hair is a mess. 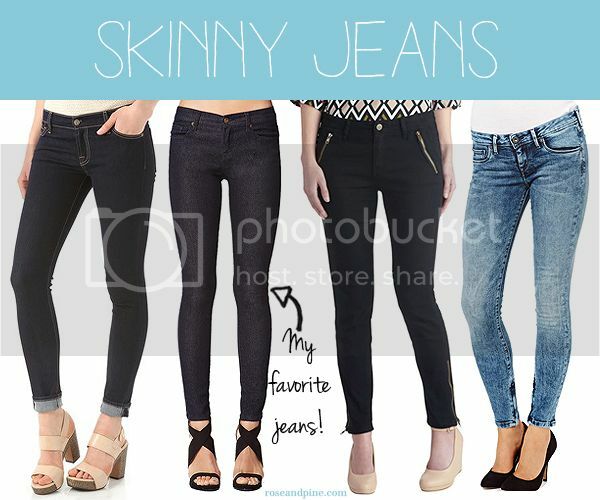 Skinny jeans can be worn on any shape or size, just don't buy them too tight, or you'll be able to see every tiny curve and roll. Even on supermodels, that's not attractive. 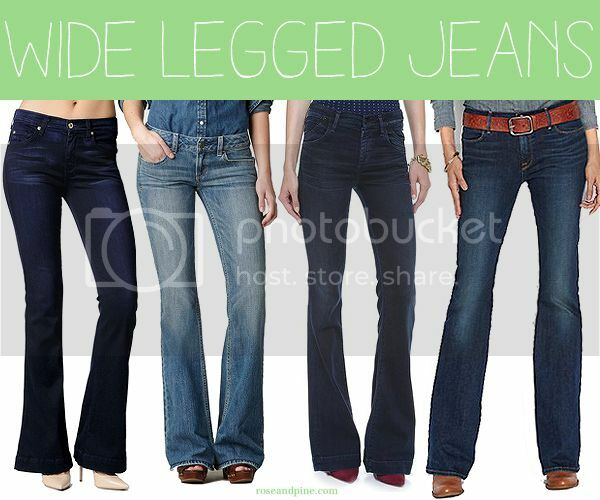 Flared and wide legged jeans are perfect for those with an hourglass shape. Throw on a belt and your highest heels to show off the slimmest part of your waste and your long legs. Just don't pick a pair that will swallow you, make sure they're tailored properly. Ah yes, the jean trend that everybody thought would die out after six months. I wasn't into the colored jean trend when I first saw people wearing them everyday back in 2008, but now I've warmed up to it. I have about five pairs of colored jeans, mostly jeweled tones. 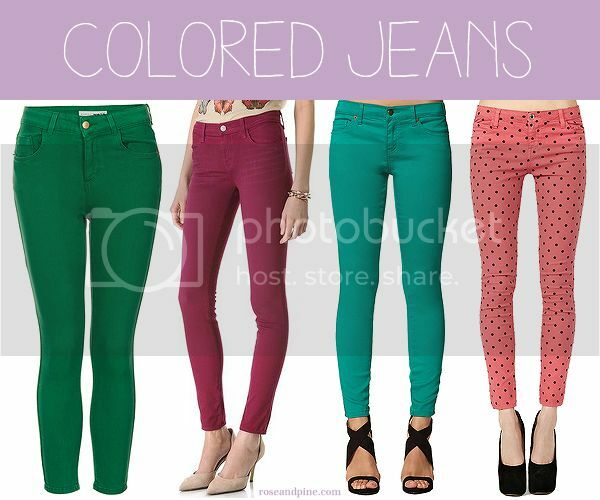 Colored jeans come in every cut imaginable, but I think a straight leg is the most versatile. I have been on the search for the perfect pair of distressed jeans for myself since about seventh grade. Still no luck. Maybe you'll find luck with one of these pairs. I love how distressed jeans can come in any cut or wash. They're perfect for that 'I don't care but I really do' look, you know? 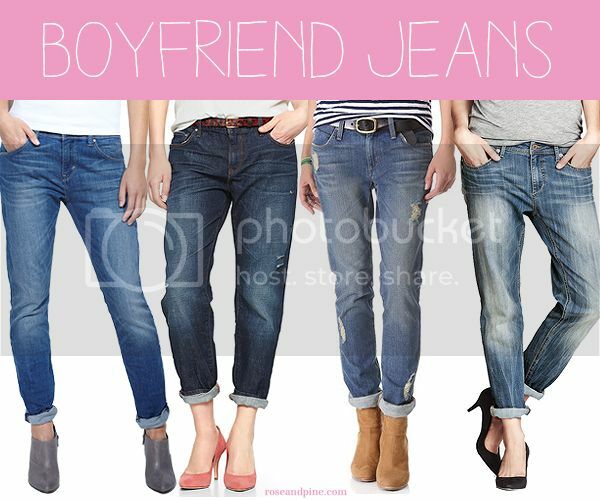 Boyfriend jeans are my favorite for lazy Sundays watching television or running quick errands. I usually pair mine with a striped tee shirt and ballet flats. 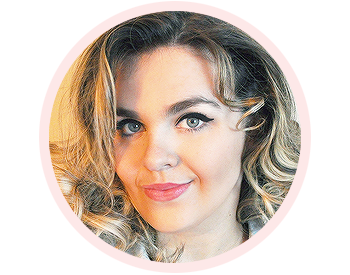 I love throwing a trench coat over for some femininity, if the weather is appropriate. That's it! I hope you enjoyed reading through this guide. If it helped you in any way, leave a comment! What are your favorite types of jeans? Tell me below! I can't go outside there is a bunch of teenagers in skinny jeans and I'm scared.